“Today I announce that that the discourteous and aggressive behavior of Mr. Julian Assange, the hostile and threatening declarations of its allied organization, against Ecuador, and especially the transgression of international treaties, have led the situation to a point where the asylum of Mr. Assange is unsustainable and no longer viable,” Moreno said in a video statement posted on Twitter. London's Metropolitan Police vowed earlier this month to arrest the 47-year-old Australian native if he were freed. Assange, who has lived in the embassy for more than six years, faces possible extradition to the U.S. for publishing thousands of classified military and diplomatic cables through WikiLeaks. 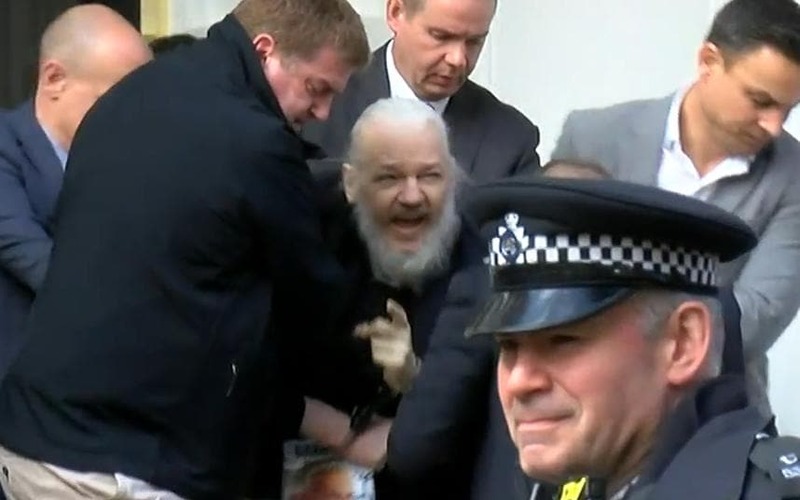 Assange has been in the embassy since 2012 when British courts ordered him extradited to Sweden to face questioning in a sexual assault case. That matter has since been dropped, but Wikileaks is facing a federal grand jury investigation over its publication of American diplomatic and military secrets during the Iraq War. “This man is a son, a father, a brother. He has won dozens of journalism awards. He's been nominated for the Nobel Peace Prize every year since 2010. Powerful actors, including CIA, are engaged in a sophisticated effort to dehumanise, delegitimize and imprison him,” WikiLeaks wrote.